What are my changes during and after pregnancy? 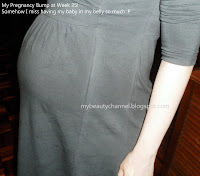 | My Beauty Channel My Beauty Channel: What are my changes during and after pregnancy? Hi all. I'm back from my pregnancy break and I'm so excited to blog again. Yup, I gave birth to a baby boy last November via Cesarean Section and I have to admit that recovery was not so good but whenever I look at my baby I feel that the pain is all worthy. Just like many mothers out there, pre and post natal certainly changed my body and I want to share about the changes on me from head to toe! Lets begin with my hair. I felt extremely good with my hair when I was pregnant because of almost no hair fall. Yes, no hair loss! Whenever I washed my hair, there was less than 10 strands of hair falling out. It was such a bliss that my hair grew longer, thicker and healthier, just the way I want it to be. The nightmare begins on the 2nd month post natal until now. My hair is falling out like crazy! If you google, most sources will tell you that it is normal to lose 50-100 hairs per day but let me tell you that it is NOT normal to lose that much hair. If you lose 20-30 hairs, that IS normal. A lot of hair will come out when I run my fingers through my hair or brush it. I lost more than 80 strands of hair during each wash! Yes, I picked them up from the plug hole and counted the amount each time. It's so heart breaking to notice that my hair is also thinning (not balding yet) around the temple area :( I asked around and everyone is telling me that this is absolutely normal because of hormonal changes and readjustment. During pregnancy, expectant moms stop shedding hair, so after pregnancy those extra hair will fall out. My friend's wife had the same problem too (she gave birth 3 months earlier than me) and she told me she has tons of baby hair growing back, so I should not stress about it and it will eventually stop within 6 months. My hairdresser told me that there is nothing I can do except to wait for my hair to resume its thickness again when it 's ready but I disagree. Hence, I'm taking my vitamins, some traditional chinese medicine and try to maintain a healthy diet. A friend advised that I should avoid fast food, soya and soda drinks at the moment until the shedding stops. I'm also using an anti hair loss vitalizing shampoo from EKS. I will do a review about this shampoo after 1 month. Next is my complexion. During pregnancy, there were angry acnes occassionally and I used a lot of aloe vera to nourish my skin. The good news is my acne cleared up at the end of my pregnancy and during confinement. Now, I only get tiny pimples on my forehead and chin, thanks to those crazy hormones again but they will go away after 2 days. My complexion is much clearer with lesser black or whiteheads. My breast grew one cup larger after pregnancy :) So, I have nothing to complain. I put on 20kgs during pregnancy. My pre-pregnancy weight was 52kg and I have successfully shed 14kgs after 3.5 months. So, another 6kgs to go. I will gambateh, lol! Nonetheless, I do not wish to lose weight so quickly because it is not healthy. It is very important to nourish the body after giving birth. Failure to do so, not only it is bad for the health but we will also age very fast. I also went to get my teeth checked as well and load up on calcium. Hips and thighs have widen for sure but it will shrink back after 6 months post partum according to my mom. Well, I choose to believe her... hehehe! I think that's about it. I will be posting more regularly, so check back for updates. I guess either is not that easy, huh? Pre natal and post natal have its own different effects that women should be prepared if we're planning to conceive. It's so nice that you are handling everything well. There are some who find all the changes very irritating that make them feel so insecure and alone sometimes. By the way, I wish you could find a solution for your hair fall soon. 80 pieces of hair fall a day is really mind bugging.